In this connected era that we live in, about 3.2 billion people have access to the Internet. That’s 55% of the world’s population. 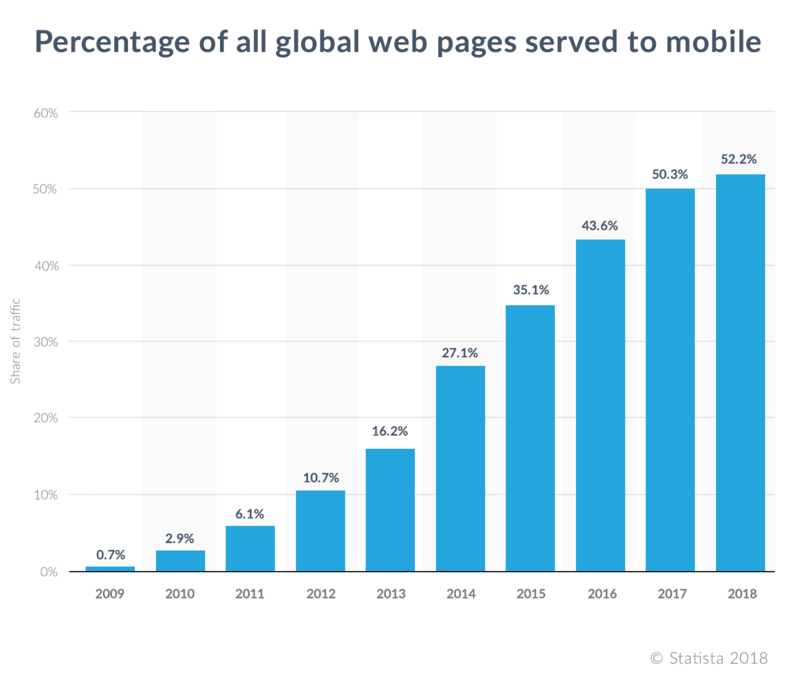 With the introduction of the iPhone back in 2007, the way people access the Internet has changed. Phones are now as powerful as computers. Even better, this is the device that is used the most and people carry all the time. Mobile Internet use has crept up slowly, finally surpassing desktop in 2016. More users are now accessing the Internet from their mobile device. According to Google, there are also more search queries happening on mobile versus desktop. This trend shows us that smartphones are becoming the primary way of accessing the Internet for most individuals. But, what does this mean for your bank? How does mobile actually compare to desktop? Here are some facts that can help you decide if your company needs to make the move to be on mobile. Since smartphones are becoming such an important part of our daily lives, businesses can leverage mobile as a way of reaching audiences. Only focusing on desktop is not enough. For a successful advertising campaign, companies must provide a seamless experience from desktop to mobile to reach their audience at all points of their customer journey.